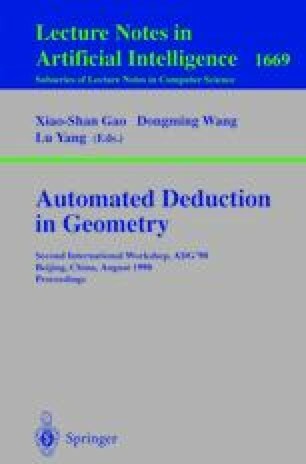 This paper focuses on a Clifford algebra model for geometric computations in 2D and 3D geometries. The model integrates symbolic representation of geometric entities, such as points, lines, planes, circles and spheres, with that of geometric constraints such as angles and distances, and is appropriate for both symbolic and numeric computations. Details on how to apply this model are provided and examples are given to illustrate the application.